William Palmer was a surgeon “of superior degree of instruction”, whose profligate lifestyle led to his ungracious demise in the mid-19th century. Palmer was charged in 1856 with the “wilful poisoning”, with strychnine, of his ‘friend’ and horse-racing partner, John Parsons Cook (to whom he was in debt). His trial for murder became one of the most notorious cases of the period. 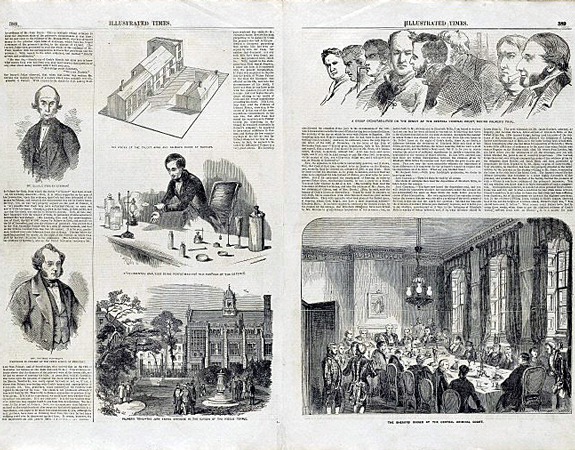 Trial of William Palmer : extra number of the Illustrated Times, Pages 388-389, May 27 1856. Wellcome Images reference: L0075718. The post-mortem was farcical: not only was it carried in the very pub where Cook died but it was performed by two medical students, one of whom was drunk. 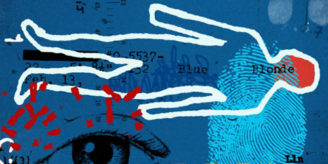 Palmer had plied the student with brandy prior to the post-mortem to prepare him for what he described as a “dirty job”. Unwittingly, this same man had supplied Palmer with the fatal strychnine – a poison used as an animal deterrent since the 17th century. According to witnesses, during the autopsy Palmer pushed in as the stomach was being opened up. The contents were removed to a jar and were later found to have thin slivers cut through as though they had been tampered with. Needless to say a second post-mortem was required. 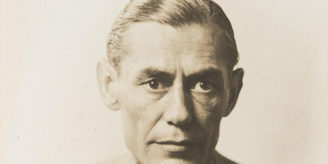 Although no evidence of poisoning was detected, Palmer was charged based on the fact that he had purchased strychnine just prior to Cook’s death. It did not help that he was suspected of being involved in the deaths of his own four children between 1851 and 1854, not to mention his brother and mother-in-law. His apparent motive for the murders: fewer mouths to feed and financially rewarding life-insurance policies. He was hung for his terrible deeds in 1856 and like other notorious criminals at the time, a death mask was made of him. 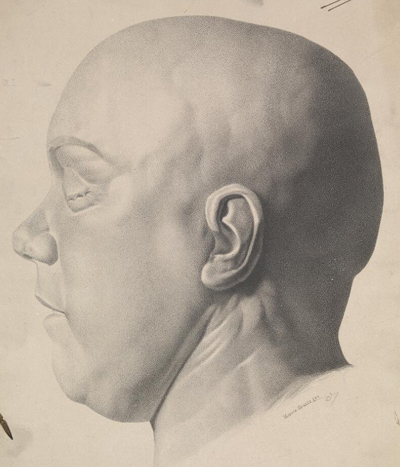 The death mask of William Palmer, the poisoner. Lithograph after M. Krantz, c. 1860. Palmer went down in history as the Prince of Poisoners and the inspiration in several literary works. He gets a mention in Arthur Conan Doyle’s ‘The Adventure of the Speckled Band’ and was the subject of Robert Graves’ book ‘They Hanged My Saintly Billy: the life and death of Dr William Palmer’, which marked the centenary of his death. More recently, Stephen Bates skilfully dissected the story in his book The Poisoner: the Life and Crimes of Victorian England’s Most Notorious Doctor.